Select a squadron then choose your target or place where you want to move. Use the arrow icon to select the next squadron. Once you have given each squadron some orders, click the CONFIRM COMMANDS button. 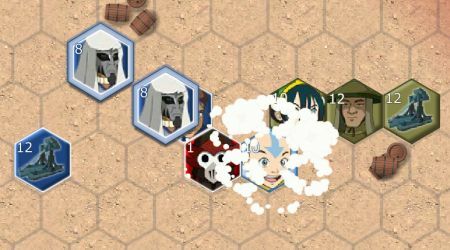 Make an enemy unit lose a turn using the power of waterbenders, click the FREEZE button to use this. 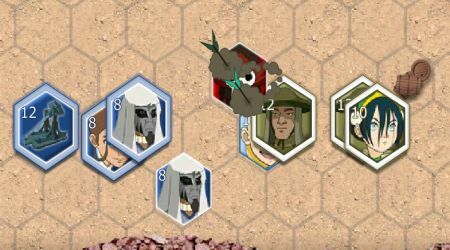 Earthbenders can create powerful barricades that can last three turns, click the BARRICADE button to use this ability. Aang has the ability to damage all nearby enemy units, click the CYCLONE button to do this. Defeat enemy firebenders as you make your way to the plaza tower.